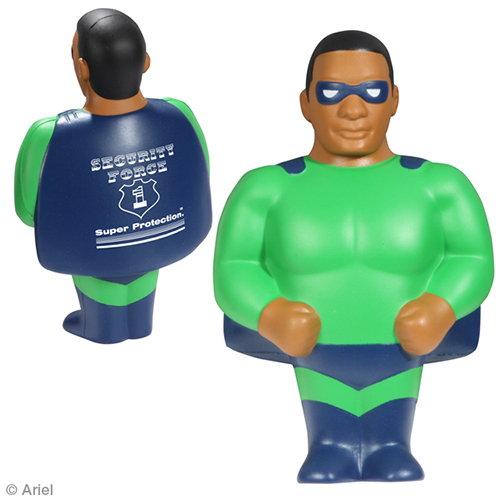 Our African American Super hero stress ball is a dark skinned version of a fighting crusader. You can imprint an African American super hero stress reliever with a custom message or catchy phrase. These super hero stress balls are fun promotions to hand out at functions and shows. Item Size : 2-5/8" x 4" x 1-1/8"
Imprint Area : back 1-1/4" x 1-1/4"_ front 1-1/4" x 3/8"